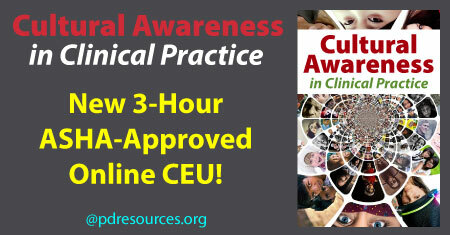 Cultural Awareness in Clinical Practice is a new 3-hour ASHA-approved online continuing education (CE/CEU) course that provides the foundation for achieving cultural competence and diversity in healthcare settings. 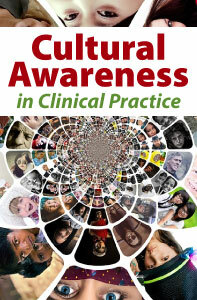 Cultural competence, responding to diversity and inclusion, are important practices for healthcare professionals. This course will help you to gain an awareness of bias and provide strategies to adjust your clinical mindset and therapeutic approach to adapt to “the other” – people who differ in color, creed, sexual identification, socio-economic status, or other differences that make inclusion difficult. This entry was posted in Cultural Diversity, Speech-Language Pathology CEUs and tagged @pdresources.org, ASHA, CE, CEUs, continuing education, Cultural Awareness, Cultural Awareness - New ASHA CEU, Cultural Awareness in Clinical Practice, New Online ASHA CEU Course @pdresources.org, Online Courses, Professional Development Resources, SLPs, Speech Language Pathology by Gina Gunderson. Bookmark the permalink.